Masters Swimming is an organisation that caters for Adult Swimmers. Many adult swimmers regularly train by themselves for fitness without any club involvement which can add Fun and Friendship to their training. Masters Swimming can fill this gap. 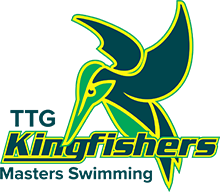 Tea Tree Gully Kingfishers Masters Swimming Club was formed in 1979 and is based at Waterworld, Modbury (every summer) and ARC, Campbelltown (every winter). Tea Tree Gully Kingfishers swim at Tea Tree Gully "Waterworld" pool, Modbury, September to April on Monday, Wednesday and Friday from 6.30 - 7.30pm. May to September on Monday and Wednesday from 7.30 - 8.30pm & Friday 7.00 – 8.00pm at the ARC, Campbelltown pool.